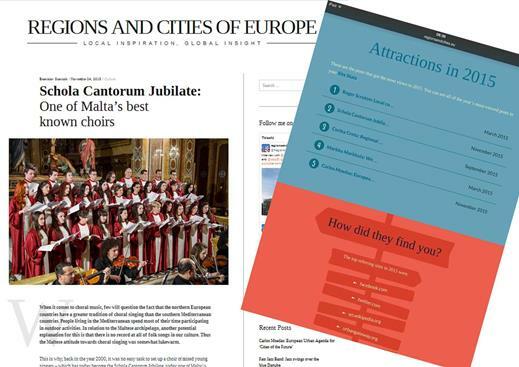 When it comes to choral music, few will question the fact that the northern European countries have a greater tradition of choral singing than the southern Mediterranean countries. People living in the Mediterranean spend most of their time participating in outdoor activities. In relation to the Maltese archipelago, another potential explanation for this is that there is no record at all of folk songs in our culture. Thus the Maltese attitude towards choral singing was somewhat lukewarm. 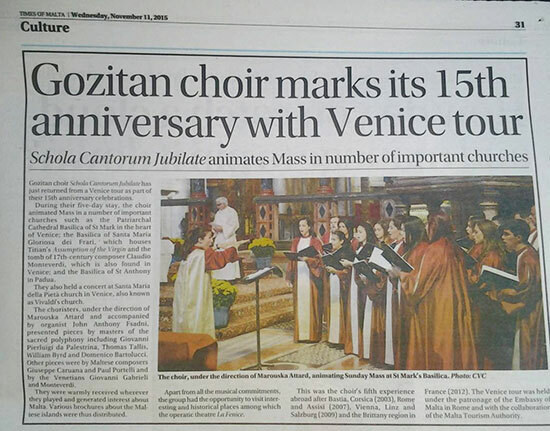 Gozitan choir Schola Cantorum Jubilate has just returned from a Venice tour as part of their 15th anniversary celebrations. During their five-day stay, the choir animated Mass in a number of important churches such as the Patriarchal Cathedral Basilica of St Mark in the heart of Venice; the Basilica of Santa Maria Gloriosa dei Frari, which houses Titian’s Assumption of the Virgin and the tomb of 17th-century composer Claudio Monteverdi, which is also found in Venice; and the Basilica of St Anthony in Padua.